This one was super fun to paint. 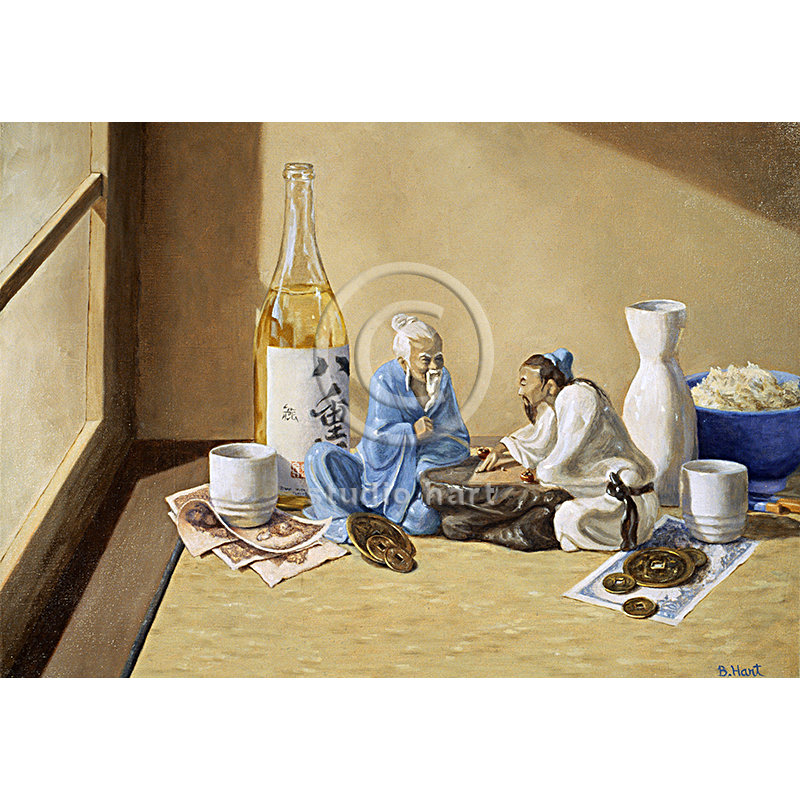 Can you imagine these two guys playing go, drinking sake and generally having a rowdy, good time. Well, probably not rowdy. It looks as though the man on the left is winning. I would love to paint this one on a large wall as a mural.